For today’s REALTOR®, social media is not as much of a choice as it is a necessity to keep your business alive and growing. According to an article by Forbes, 90 percent of consumers read online reviews before visiting a business, and online reviews have also been shown to impact almost 70 percent of purchasing decisions. Marketing methods used even just one decade ago are not nearly as relevant as they were at that time. 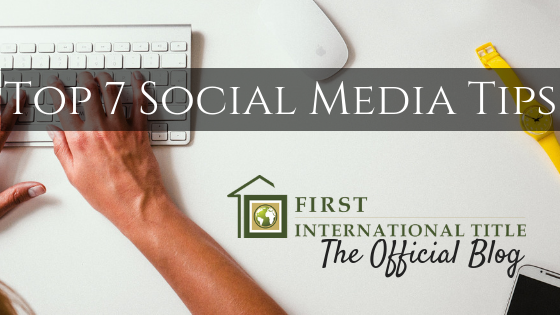 With the majority of the American population on social media, and the majority of home buyers being millennials, it is imperative that real estate agents spend a proper amount of time marketing on social media. If you’re a REALTOR® thinking to yourself, ‘I’m already on social media,’ now would be a good time to re-evaluate your pages and marketing techniques as Facebook, who also owns Instagram, went through many changes in the beginning of 2018. Here are our top 7 social media tips to keep you up to date. Google, one of the only companies to successfully turn its name into an actual verb, is still incredibly relevant. Most Americans, who are considering buying something (or, in our case, using a REALTOR®) still read reviews before making a final decision. Luckily, whenever someone gives your services a review on Google, this increases your organic results, also known as SEO (Search Engine Optimization), thus pushing your name and business higher up in the results. Google considers this an “update” to your website, therefore the more updates you make, the more relevant you become. In essence, the more Google reviews you receive from clients, the more other people searching for real estate agents in your area will see your pages. This also goes for Facebook reviews, which have recently changed to “Recommendations” on your page, in order to minimize the amount of fake and paid reviews online. Be sure to ask for the review at the end of every transaction. Some REALTORS® claim that they get better views, more engagement, and a higher number of shares on their personal pages than they do their business pages. If that works well for you, keep on doing what you’re doing! However, one of the major drawbacks to this is Facebook targeted ads are only available for those who have business Facebook pages. Targeted ads allow you to reach a very specific target audience. Think of this way. You have the potential to reach thousands upon thousands of people in their most relaxed state: drinking coffee in the morning, or laying on the couch after a long day of work, and browsing their newsfeed. There is a reason these ads are so popular right now: they work. You essentially cut out everyone that has zero potential to be interested in the services you offer. You only target those you would need your real estate expertise. Take a moment to scroll through your newsfeed and take a mental count of how many videos you see versus how many written posts, or even just a photo. It’s a huge difference. Facebook is currently rating video as the highest and most relevant form of communicating on your page. Facebook Live takes it a step further. Not only is your live video pushed up to the top as one of the most important posts, but your friends and followers get a notification whenever you go live. This is a quick, fun, easy to get in front of people. Nervous about going live? 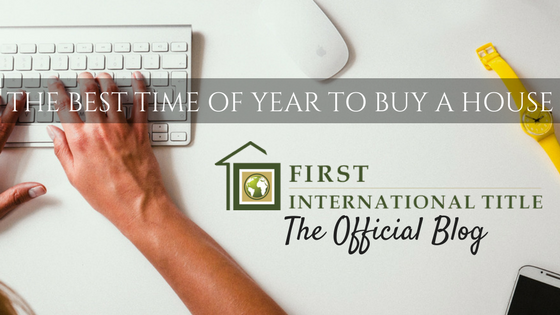 Give your local First Western/International Title Rep a call and they’d be happy to get you started! Many real estate agents are saying that their Instagram leads have a higher ROI than their Facebook leads. This is something to consider. Instagram, although it is owned by Facebook, has its own way of reaching people. Using these specific hashtags will help people who like similar pages to yours find you easier. A friend of mine once said, “Do you want clients who are business people with a college degree? …Then why aren’t you on LinkedIn?” Running an ad campaign on LinkedIn will help you to reach those exact people, as the majority of LinkedIn users are working and have college degrees. With that being said, make sure your LinkedIn profile is up to date, as these people typically want to work with others who are go-getters, hard-working, and have a lot to show for their work. Also, look for many different types of LinkedIn groups that you can join, as that gives you the ability to reach an even wider audience. Be intentional about the types of people you are following on Instagram and inviting to like your Facebook page. Is this a person someone that you want to work with? Do they even fit the description of your ideal client? Don’t waste time following people who aren’t going to get you where you want to be. Your followers on social media should be liking your content, having a reason to comment on your posts, and eager to share your thoughts to their own page. If someone doesn’t fit the bill, move on. Now more than ever, people want a relationship, a connection, with someone before they do business with that person. Are you portraying your true self online or will your potential clients be surprised when they meet you in person for that listing appointment? There shouldn’t be any surprises. In fact, when you meet a social media lead in person, there should be some sense of “I already feel like I know you,” before you even sit down. Are you being yourself? Social Media is an ever-changing and a never-ending conversation. Be proactive about attending classes and asking your business developer for updates on social media. 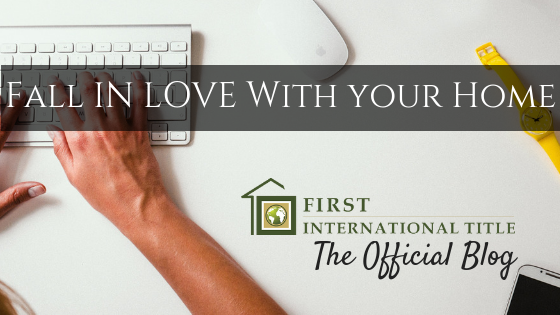 First International Title offers classes for realtors every month. Questions? Comments? Reach out to your sales executive today!